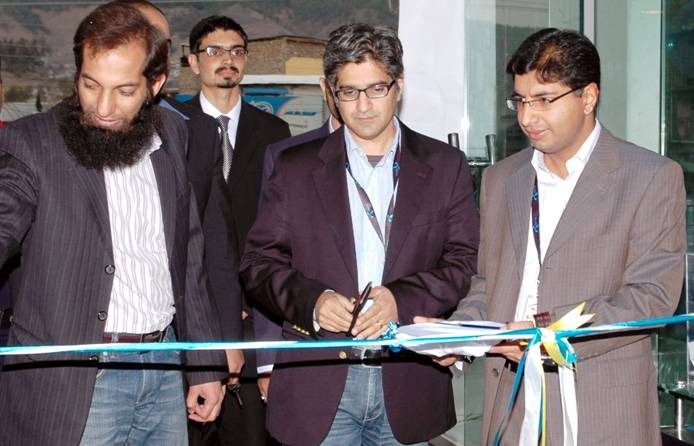 Telenor Pakistan opened its first Sales & Service Center on Main Mansehra Road near Radio Pakistan, Abbottabad, recently. Picture shows (L to R): Malik Faisal Qayyum, Director Sales & Distribution; Aamir Ibrahim, Chief Marketing Officer; and Zil Hasnain Baluch, Manager Sales & Customer Services (North) inaugurating the new center. The outlet will provide complete range of Telenor services to customers in Mansehra, Haripur, Nathiagali, Havelian and Sherwan.